QuiltingLotsmooredesigns: 6 old and 6 new in 2018 -Making progress in record heat! 6 old and 6 new in 2018 -Making progress in record heat! Oh boy, our air conditioner has been working overtime in the last few days, and there appears to be no let up for the next week. A few days ago it was is around 42C, (107F I believe), and that is just too hot for comfort. Here is my report for the 6 old dand 6 new in 2018, plus I have joined the 18 in 2018 too!! Just keeps me honest or mad or something! I did at least make a little progress. My goodness, it takes some time to get your head back into th right space with a quilt that was barely started in 2008. All the counting has been done so I know what I still have to cut, and the next job is to finish off all the trimming of these HST's. I think I might be a little short of fabric in the right colours, so, (every so sadly) I think I may have to go to a quilt shop. Hehehe. Managed to finish the little tart as well as a pie this month, and have cut out and prepared quite a few more. This project will definitely be long term as it is quite hard on my hands. Another way to use up quite a good lot of fabric. 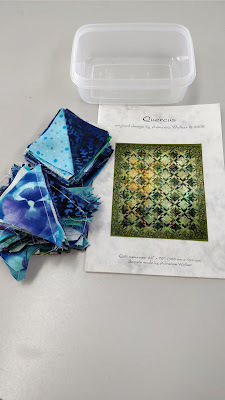 The second to last applique block for a quilt that has been in the making for quite some time. I seem to have made a mistake in the drawing out of the pattern and had sewn on about five pieces and wasn't happy. I decided to unpick, clean off my markings and start again. Very happy I decided to do that. The is so close to being finished I need to make a concerted effort to finish it. 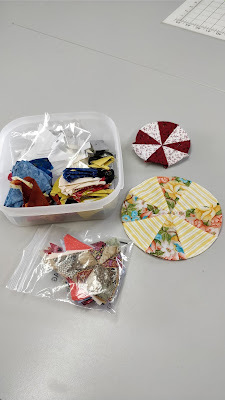 I have decided that I am going to join in with Carole and My Carolina Home blog and do her Mystery Quilt and you can click on the link to see for yourself. I usually don't get organised in time but this time I am determined to make it and of course we are given a month for each clue to be finished. I felt it would be a great way to use up some more of that stash I am a little tired of. 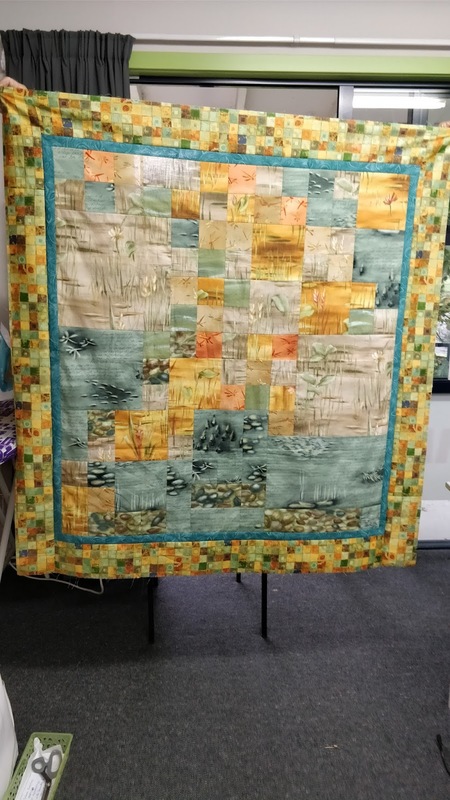 Here is the River quilt all put together. It's not a very big quilt, but will make a nice lap quilt or even a wall hanging. I was so pleased the way the border fabric worked out so well, as it's always a bit of a problem after you have left it about 10 years to finish!! Oops. Never mind, it still counts as an almost finish for my 18 in 2018 list. Most of my other projects have not been touched, but I did spend quite a bit of time resorting my fabrics and scraps. Over the last couple of years as we finished this house, things got moved around quite a bit. I have now managed to start getting everything back in the right places and can find things when I want them! Well, that's what I'm pretending, LOL. 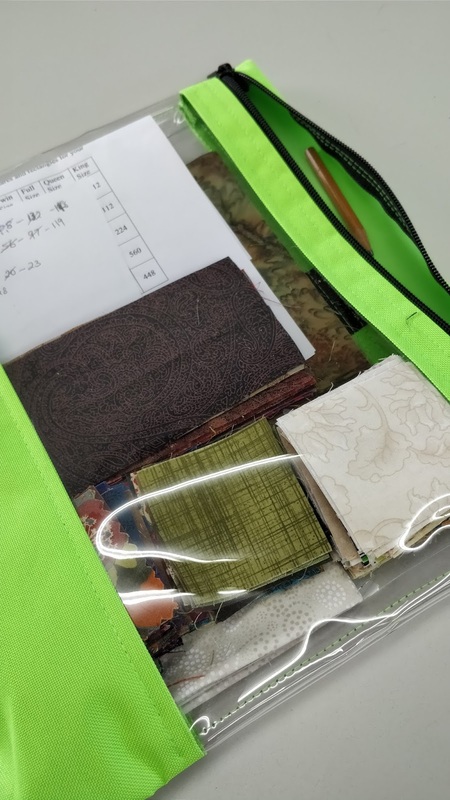 Actually, it has spurred me on to get moving on using some of these fabrics up, because although I still like them, I'm a bit fed up with looking at the same old stuff! Keen to buy lots of new stuff in these lovely fresh modern colours! Haha, that's famous last words. I think that's all for now. 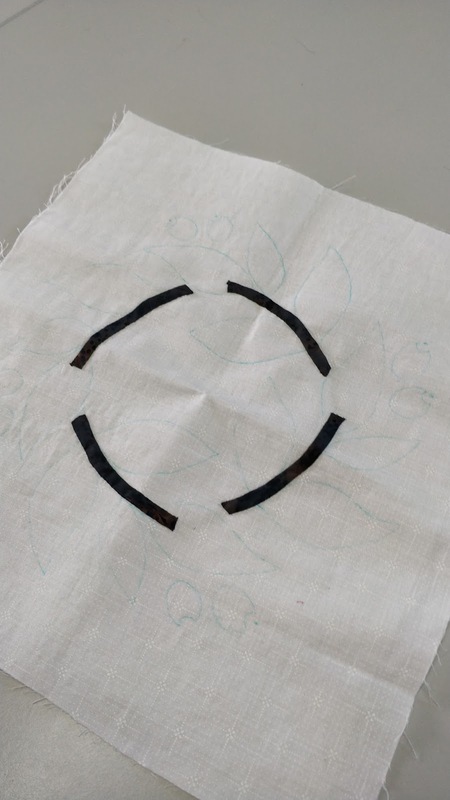 Happy stitching. Hi, Clare, nice to have you in the 18'ers group! Congrats on the River top put together. :) I've got several UFOs in that age group, so I can relate to the relief when the fabric works out! Quercus looks very interesting!! Congratulations on finishing River, the border fabric works very well indeed. Are temps any better with you now, we were sweltering up here but now it's cold and wet! !